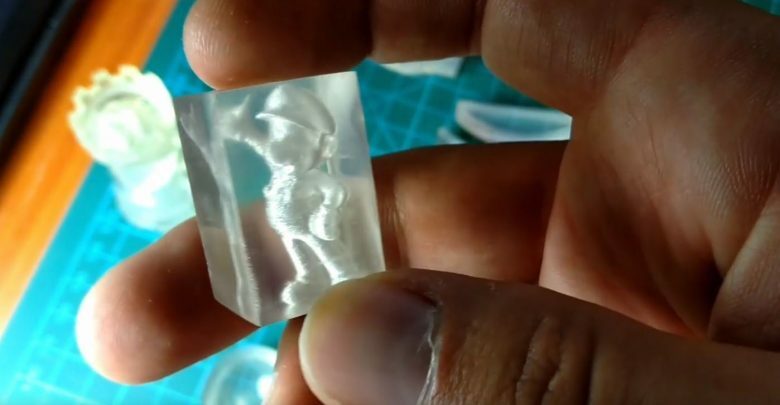 There have been times in the past that people have asked me if they could print lenses and other clear items with their filament fed 3D printer. I’ve always replied that while you can get pretty clear, you’re always going to have ridges and layer lines, even internally. Tomer Gluck and Tuval Ben Dosa are here to show how incredibly wrong I was! By over extruding a bit and ensuring that each layer is thoroughly and completely mashed to the one before, and using 100% infill, they have managed to print completely clear blocks of ABS allowing for lenses and some other cool effects. The prints don’t just pop off the printer this nice. They come off with your more typical expectations intact, full of layer lines and over extrusion blobs. However, some careful sanding and polishing shows that the internal structures can be optically transparent. Head over to their blog to see what settings to use and what their polishing process is.